Krazan provides analysis of soil, rock, and groundwater in relation to Site Development. Our Services include geotechnical engineering investigations and geologic hazard evaluations that evaluate the development in terms of potential landslides, damage associated with earthquakes, fault movement, ground settlement, cracking, and sliding related to earthquake shaking, erosion, sedimentation, and floods to determine site suitability and to provide specific practical design recommendations. 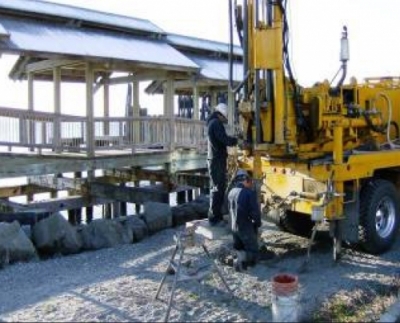 Krazan currently owns and operates its own fleet of drilling equipment capable of performing geotechnical drilling, sampling, and in-situ testing (CPT, field vane, pressuremeter testing). Our high torque hollow stem auger rigs are equipped with an L-8 moyno pump and can drill to a depth of 200 feet or more.